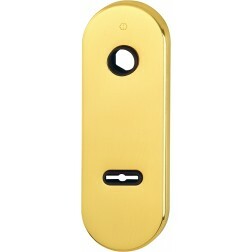 Interior door handle Hoppe Los Angeles series on square rose. 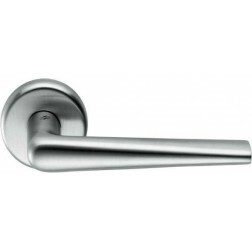 The Los Angeles series Handle Hoppe is a best seller in our online catalog. 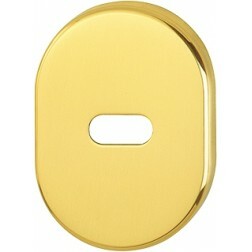 Composition brass full and modern design explicitly. 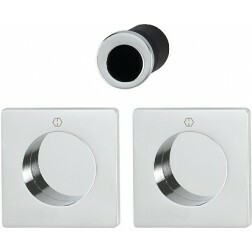 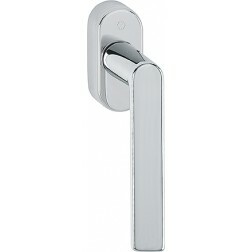 Available in satin chrome finish and polished chrome with protective surface Resist guaranteed for 10 years. 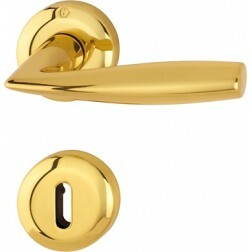 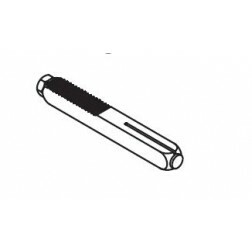 The return springs are much more rigid than a normal handle by fulfilling the expectations that a quality handle could give. 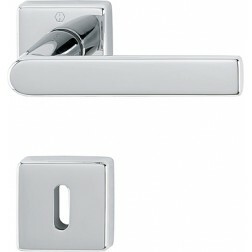 With the quick-fit connection patent developed by Hoppe, these handles are mounted in a short time and very easily. 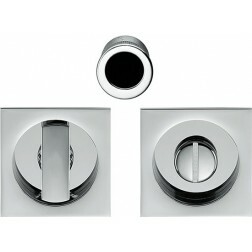 Even novices can try their hand at DIY.